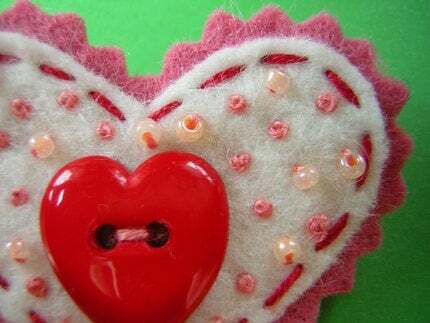 Today I'm featuring a sweet, heart pin. Because I love stuff made out of felt!!! And, I love Valentine's, because the market gets overwhelmed with pink & red heart things! What could be better?